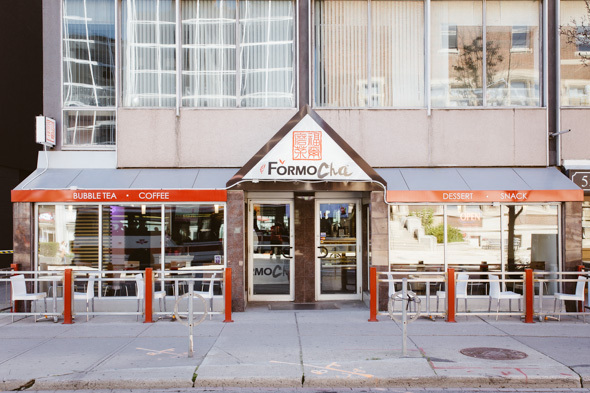 FormoCha Tea House is, at first glance, just another bubble tea shop near Yonge and Eglinton. But just like a Transformer robot, there's more to it than meets the eye. Beyond the standard array of bubble tea drinks, this cute little cafe also serves espresso based drinks, smoothies and homemade desserts. All this and a modern, chic space that doubles as a showcase of sorts for Taiwanese culture. 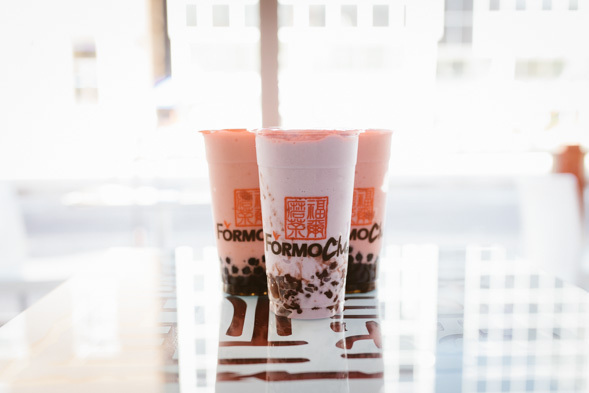 The signature drink here is the FormoCha Tea ($4.19 for a regular size), a sweet and creamy milk tea made with vanilla beans. The beans are a nice touch and give the drink a distinct and fresh flavour. Too sweet? No problem. 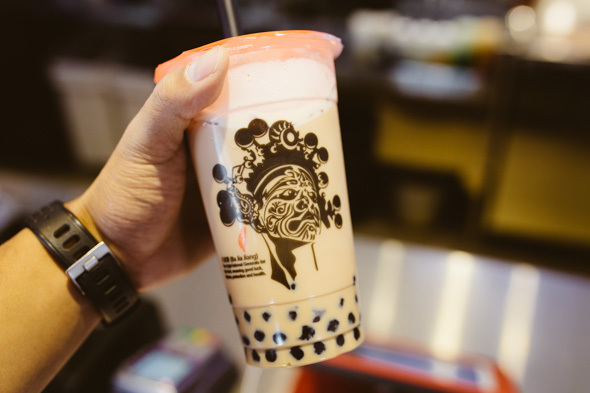 As is the growing norm with most bubble tea shops these days, drinks can be customized with the amount of sweetness and ice you desire. Also not to be overlooked is the Coffee Smoothie ($3.69) which is reminiscent of a Tim Horton's ice capp (just more complex and not as sweet). The coffee flavour is noticeably stronger than its mainstream counterpart and is a nice alternative to those looking for a cool coffee drink fix in the waning days of summer. 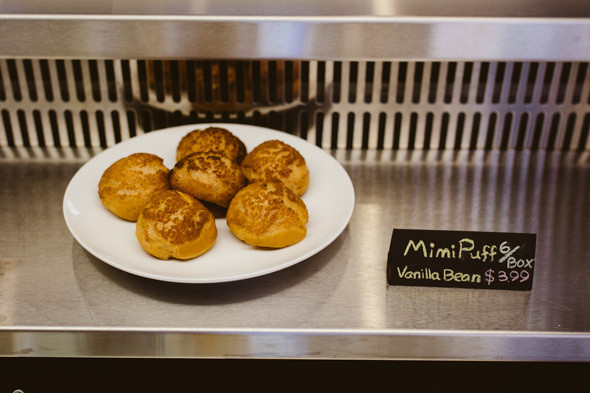 From the bakery most drinks would pair well with a Mimi Puff ($3.99 for six), a small crispy puff pastry made with a variety of fillings. I tried both the regular custard and the matcha flavour and would order both again. While the look of the pastry may remind some of the offerings from Beard Papa's in Pacific Mall, this puff is crispier with a thin, light outer shell. Each puff is baked fresh to order and worth the wait. From its menu to the decor, FormoCha brings to midtown a little taste of Taiwan. Glasses are decorated with motifs from glove puppets, an ancient Taiwanese cultural tradition, and there are cute tables like you'd find in Taiwan all around the joint. It might be the perfect date spot. 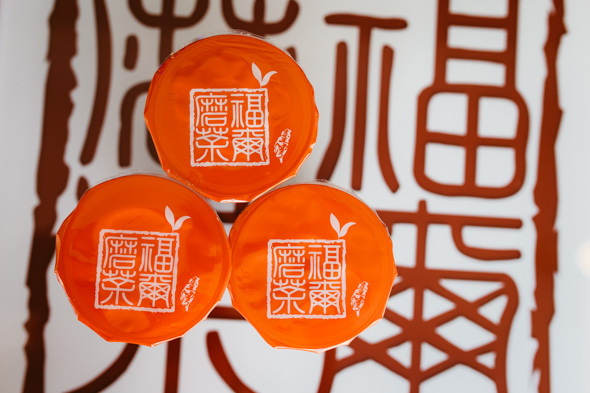 And if that's why you're here just remember this little tidbit: the name of the cafe is a clever play on words - a portmanteau of the word Formosa , Taiwan's previous name, and Cha , which means tea in Mandarin. Who wouldn't be impressed by a little bubble tea trivia like that? Writing by Darren "DKLo" Susilo. He hangs out on the twitter and his own mansion .